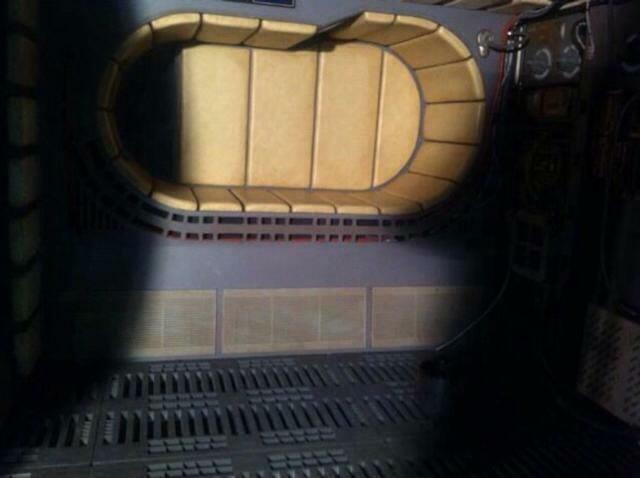 Just how good will the Millennium Falcon look on the inside in Star Wars Episode VII? Judging by these photos, pretty darn awesome. 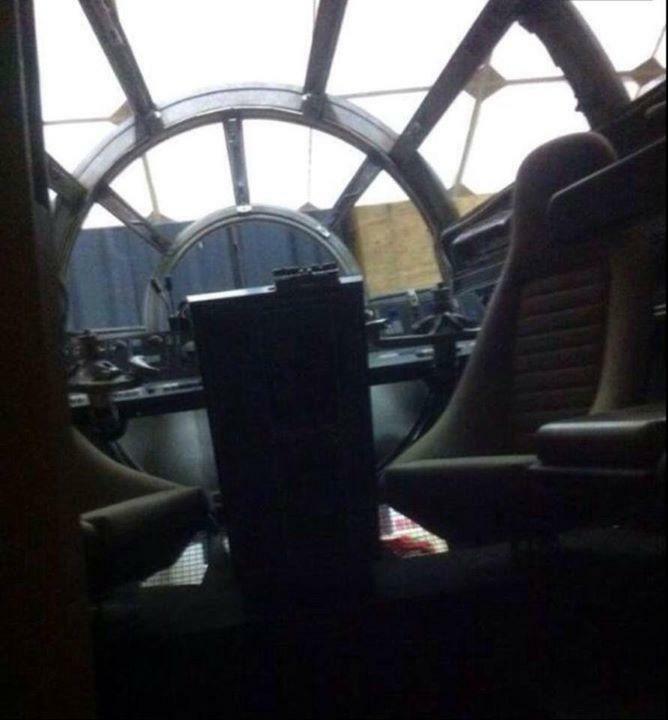 Someone has been lucky enough to board the Millennium Falcon at Pinewood Studios and snuck a few images out for everyone to enjoy while posting them to fan forum MintinBox. 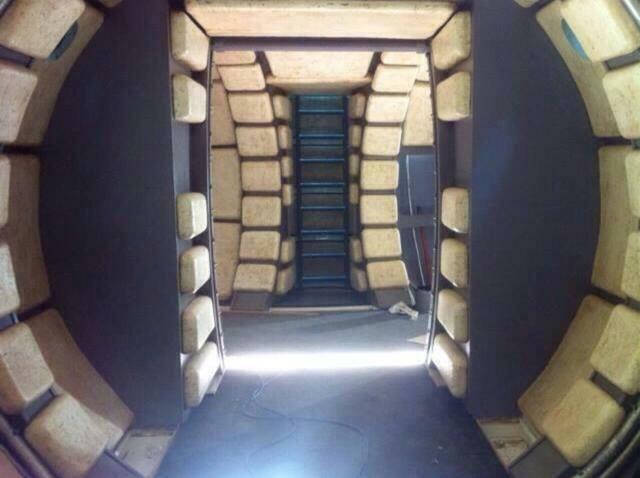 While the ship hasn’t been completely confirmed for the film yet, director J.J. Abrams did the next best thing not too long ago by posting an image that appeared to be the holo chess table from the lounge area of the ship while making a joke about how everyone should stop speculating about it. 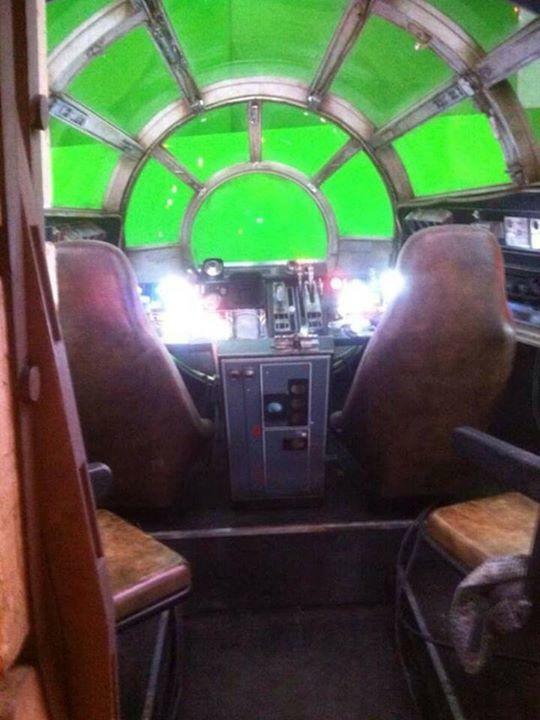 Of course, filmmaker Kevin Smith having been allowed to visit the set and stating he had visited a fully realized Millennium Falcon set certainly also added some credence to everything. 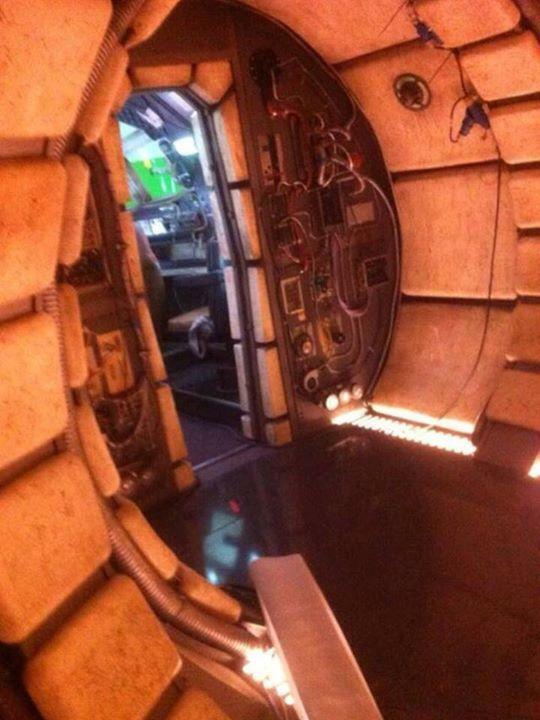 What Smith revealed that was intriguing was that he stated the interior of the Falcon was actually inside the outer shell. 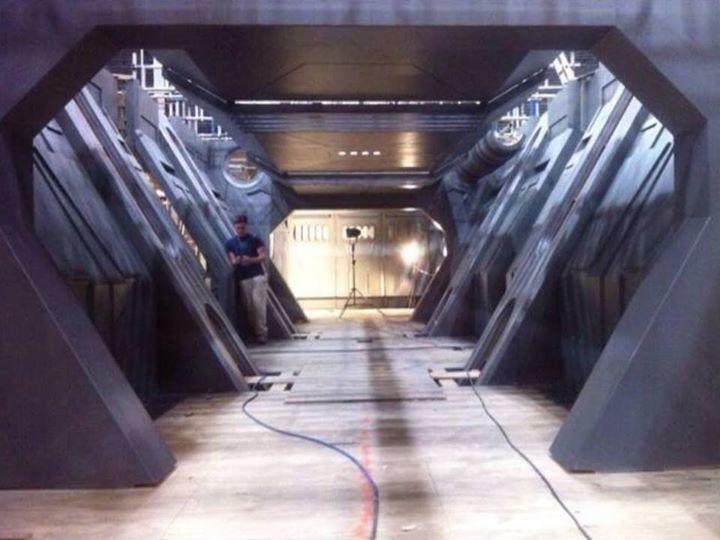 When the original trilogy was made the sets were actually in other locations, so the idea of a ship you can walk up a ramp and see wht you expect to be there is just about every geek’s dream. Judging by these photos, they’ve done a bang up job. 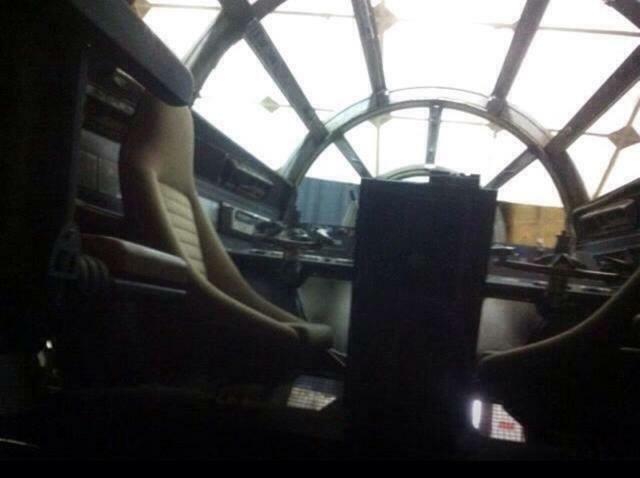 The fact the cockpit actually looks like a cockpit just makes my inner six-year-old squeal with delight. 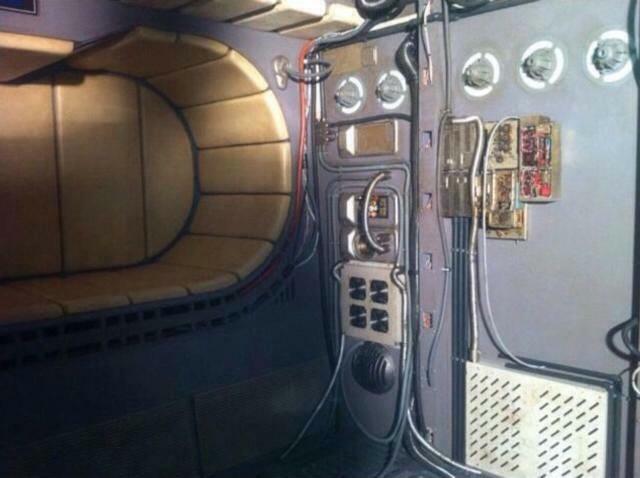 Seeing as it has been confirmed that Star Wars Episode VII takes place 30 years after Return of the Jedi, the ship’s interior does look a tad more rough around the edges, but that’s to be expected. Han and Chewie never struck me as the type to do a lot of house cleaning. 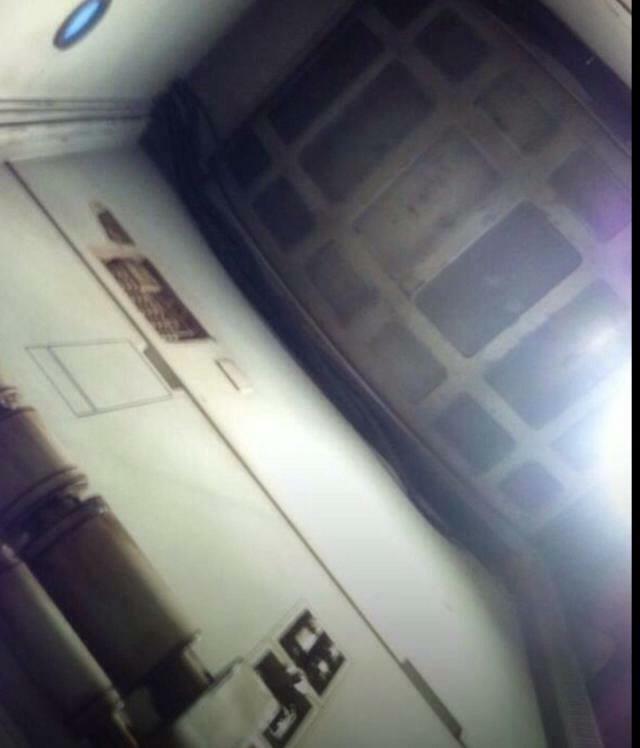 As for the fourth image that was leaked of some random hallway, no clue what that is as of yet, but if I was to guess, it’s the interior of a large capital ship. 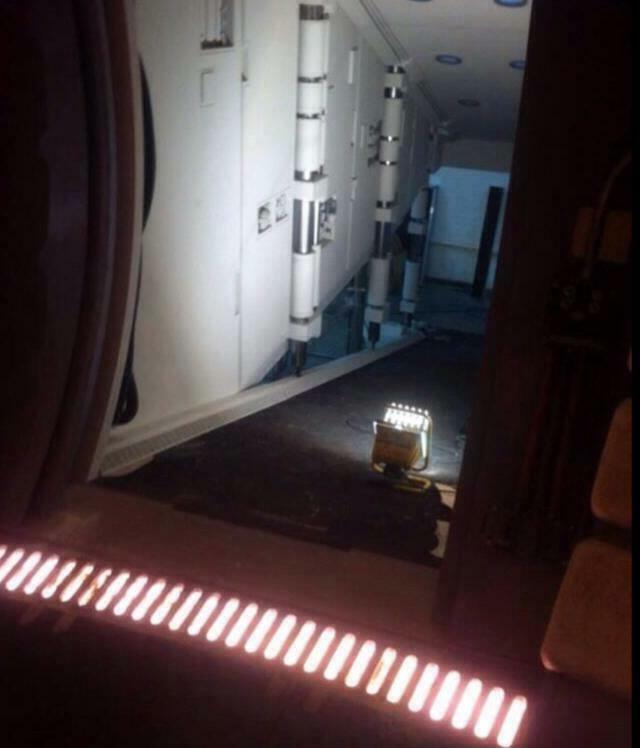 Today has not been a good day for the Star Wars Episode VII crew. We’ve already seen what appears to be the new Stormtrooper helmets, and now these photos that certainly look as though they come from the set. Now, if someone could just post pics of some lightsabers and blasters, we’d all be happy.